The article is devoted to the didactic aspects of the formation of intercultural competence within the tandem method of learning a foreign language, which allows not only to intensify the process of language education, but also to enhance the ability of independent work to learn a foreign language. 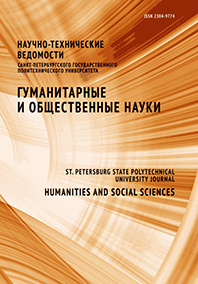 The main methods of research are the analysis of the scientific literature in the field of foreign language teaching methodology, psychology and pedagogy at the research problem, the study and generalization of experience of teaching foreign languages in tandem groups, as well as analysis of the products of educational activity of students, teacher observation, questionnaires and interviews. Special attention is paid to the formation of intercultural competence on the verbal and preverbal levels within the binational language course. We consider the process of mutual understanding between participants in the tandem project, conscious and unconscious aspects of culture, rethinking its own and others' behavior. It is shown that the formation of binational training programs for language groups and considering the communicative behavior of the participants with the ethnographic point of view it is necessary to take into account the following principles: the principle of prediction, the selection principle, the principle of harmony. Modern communication system assumes to hold a dialogue between the cultures of the laws of mutual respect and tolerance. The purpose of the tandem network is the organization of virtual communication, aimed at the mastery of their native language tandem partner and the formation of intercultural competence in the process of mutual learning with the help of new information and communication technologies. Article submissions are of practical importance for the foreign language teachers in groups of participants of academic mobility programs.